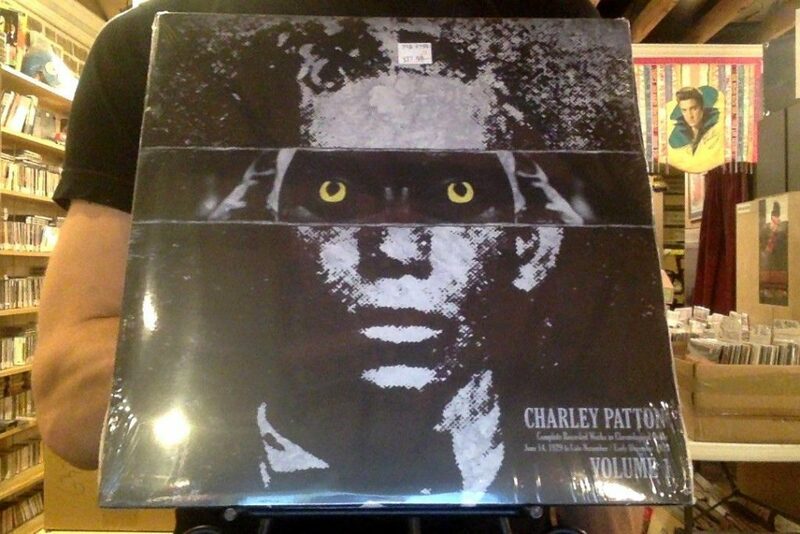 Check out these new and used Charley Patton vinyl records LPs for sale. Charley Patton was one of the most influential Mississippi blues artists. The singer/guitarist was born around 1891 in Hinds County and spent most of his life in the Delta area of Mississippi. Patton was based at Dockery’s plantation along with other notable blues artists Tommy Johnson and Willie Brown. He spent most of his career playing ragtime songs for patrons at country parties and barrelhouses. His enigmatic stage presence and overall goofing around antics made him a very popular entertainer at such events. Charley Patton’s style involves his signature gravel voice which was often strained, along with a very percussive guitar technique. He made over 60 vinyl recordings between 1930 in 1935, and his best-known song is Pony Blues. Other popular rare vinyl records include Moon Going Down and High Water Everywhere. Patton was a big influence on Howlin’ Wolf. He passed away in 1934. We recommend starting your Charlie Patton vinyl collection with his comprehensive Complete Recorded Works in Chronological Order. Our LP inventory is constantly changing, so check back often, or browse our list of vinyl from blues musicians.